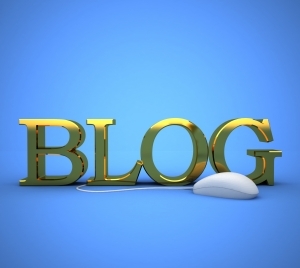 Does your company or organisation have a blog? One of the most daunting things to start on the web is a blog. Yet, it’s probably one of the most useful online property that you’ll ever have as an organisation and as an individual. You see, even though I’m a big fan of third party social media platforms like Facebook and Twitter, I still believe that everyone who wishes to have a better sense of their online presence should have a ‘home base’ – a Web HQ, so to speak. Something you can call your own. And, if resources allow it, then a blog is a great way to go. If you’ve decided that you or your organisation can benefit from a professional blog, then here are some tips that might come in handy. Blogging Platform – Would you prefer your blog to be self-hosted or hosted elsewhere? Depending on the type of blogging you’re going to do and the sort of features you need, this can give you an idea of whether you should use WordPress, Tumblr, Blogger, or some other platform. Or, if your organisation already has a website, you might just need to add a blog as a feature. Tone and Feel – This is where you think about things like your blogging voice – serious and authoritative, fun and approachable, casual but helpful, etc. The tone and feel of your blog would reflect in your choice of blog title and design. Although, if it’s part of an overall website by a company or organisation, this is something you should consider too. Content Architecture – This is probably one of the trickiest things to figure out when starting a blog. Some helpful questions include: What would be your blog’s topics? What should be featured in your menu? What pages do you need to create? How are you going to manage tags? Once you have the basic plan in place for your new blog, then you know you’re ready to take on the joys and challenges of blogging. Creating interactive elements on your blog. Invite people to comment by asking questions or sharing challenges. You can also add features like polls and surveys. Some people also run competitions, giveaways, and other similar activities. Responding to Comments. When someone takes the time to leave a comment on your blog, it’s good to at least acknowledge that and respond accordingly, if possible. If you get dozens or hundreds of comments on your posts, then you might need to be more selective on which one to respond to. But, you can always have a blanket response thanking everyone for their time, and assuring them that you read their comments even if you cannot answer individually. Visiting other blogs and leaving comments. The number of friends and contacts I’ve made through “blog hopping” has been enormous over the years. Some of them have become true friends that I even managed to meet in person, even though we live in different cities and countries. Even when you’re blogging for an organisation or company, this human connection is very valuable and helpful. Linking to other people’s blogs and blog posts. When you’ve read someone else’s blog post, and you would like to acknowledge them in some way in your own blog, you can do so by linking to them. This is especially helpful if you would like to attribute a post that you’ve written as inspired by someone else, or you’re continuing the discussion from someone else’s blog to yours. Guest posting. You can do this either by offering to write for someone else’s blog, or you can invite someone to write in your blog. This is a great way to interact and support the blogging community, and may even help to expand your audience base. These are just some ideas on how to engage with the blogging community and your own readers. Types of Media – Would you be using videos and graphics, or just plain text? If using videos and graphics, would they be original or sourced elsewhere? Types of Blog Posts – Would your blog be primarily thought pieces, tutorials, interviews, features, news articles, or something else? Or, would they be a bit of a mix? What is the minimum and maximum word count for each blog post? Sources of Content – How can you ensure regular content production? Do you have a list of websites and blogs that you would be monitoring for content ideas? Blogging Schedule and Team – Who will be maintaining your blog? Will it just be one person or a few people from your team? Also, the frequency of updates would be useful to have, so you can also look in to a Content Calendar for your blog. There are a lot of other tips on actual content creation and curation for blog posts. But, hopefully, these tips should help you to get started on your professional blog. Let us know if you have other tips or questions when it comes to blogging for your company or organisation.